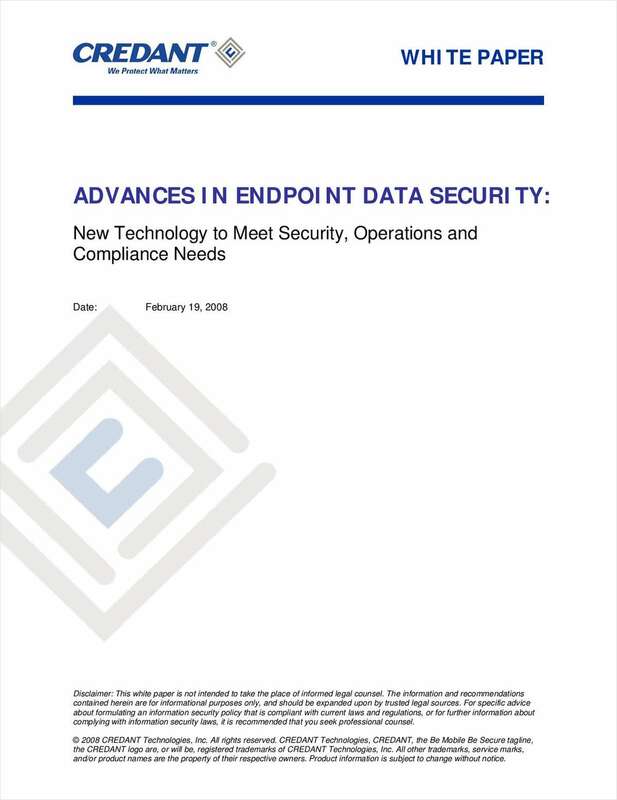 "Advances in Endpoint Data Security: New Technology to Meet Security, Operations and Compliance Needs"
Free White Paper: "Advances in Endpoint Data Security: New Technology to Meet Security, Operations and Compliance Needs"
Advances in Endpoint Data Security. Security has evolved beyond merely encrypting "bits on disks". The paradigm must shift from Full Disk Encryption.